Rep. Darrell Issa: My time has expired and I’ve lost my patience with you. Last night during his testimony before the House Oversight and Government Reform Committee, IRS Chief John Koskinen said he could not remember who told him that Lois Lerner’s emails were lost. Rep. Jim Jordan (R-OH) grilled Koskinen during his testimony as to when and who told him that the emails were lost. The IRS Commissioner actually blamed tax season as to the reason why he could not remember. UNREAL. Rep. Jordan whent on to ask the IRS Commissioner, ‘At what point does it become obstruction of justice?’ Watch the amazing exchange below. Rep. Jim Jordan: The chairman asked you, “Who told you this information?” You can’t remember? IRS Chief John Koskinen: No, I… do not remember. Jordan: Did someone tell you in person? Did they send you an email? Koskinen: I do not get emails on these subjects so I’m sure it was someone in person. Jordan: This has been a major news story for the past 13 months and you don’t remember who came up to you and said, ‘Hey boss, we lost Lois Lerner’s emails”? You don’t remember anything about that situation? Koskinen: I remember being told in April … I do not recall who told me. Republicans on a House of Representatives committee took Internal Revenue Commissioner John Koskinen to task on Monday night for his agency’s loss of emails from an IRS official involved in scrutinizing tax exemption requests from political groups. “This would be laughable if it wasn’t so serious,” said Jordan, who asked Koskinen to seek a special prosecutor’s investigation of whether the IRS improperly scrutinized tax-exemption requests from conservative groups. Jordan questioned whether Koskinen obstructed justice by waiting several weeks to tell Congress about the lost emails rather than revealing it when he first learned of it in April. 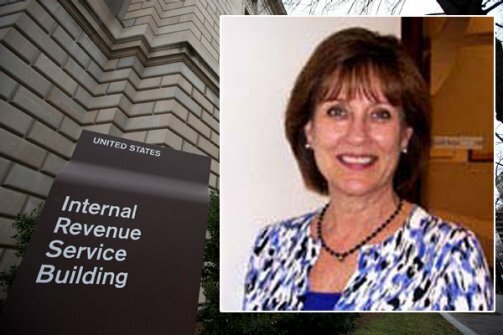 Koskinen said IRS tried to recover all the emails it could from Lerner’s crashed hard drive, but couldn’t get them all. Last night IRS Commissioner John Koskinen testified again before the House Oversight and Government Reform Committee about the loss of former IRS official Lois Lerner’s emails. US Rep. Trey Gowdy (R-SC) simply shredded IRS Commissioner Koskinen during the hearing and handed Koskinen his lunch, or in this case because of the time of day, his dinner. Gowdy provided Koskinen a lesson in Criminal Law 101. The Congressman methodically and astutely lit into the IRS Commissioner as he destroyed Koskinen’s comment that “there was no evidence of any criminal misconduct.” Koskinen was forced to say that there was any wrong doing.